Since the Gaia Spacecraft's second massive data drop last week, scientists have released over 30 new research papers in just two days following the announcement. One especially intriguing paper describes the possibility that a powerful gravitational force sent ripples through our galaxy, like a stone into a pond, between 300 million and 900 million years ago that might have been due to a close approach from the Sagittarius Dwarf Galaxy orbiting the Milky Way around 70,000 light years away. Information from this second release has also helped unmask some features of the Milky Way that only limited data had hinted at before. 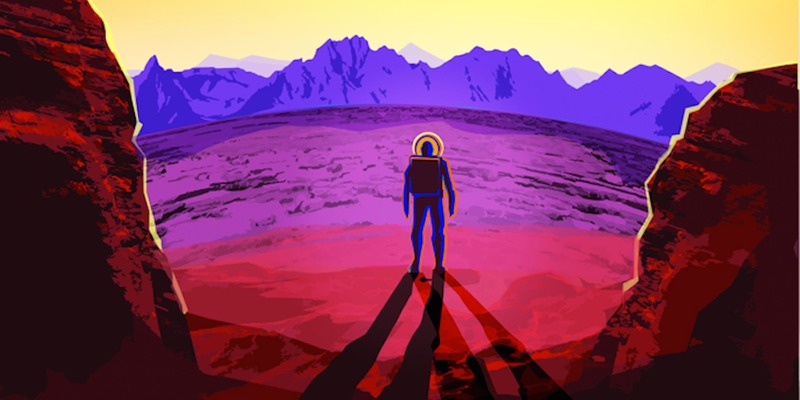 “Right below the central region (of the Milky Way is), there is a strip of stars sticking down and this is actually a dwarf galaxy being torn apart in the tidal field of our own galaxy; it is called the Sagittarius dwarf. We knew about its existence already, but this is the first time that you can just see it sitting there in a map of the star density on the sky,” said Anthony Brown, with the Gaia Data Processing and Analysis Consortium. 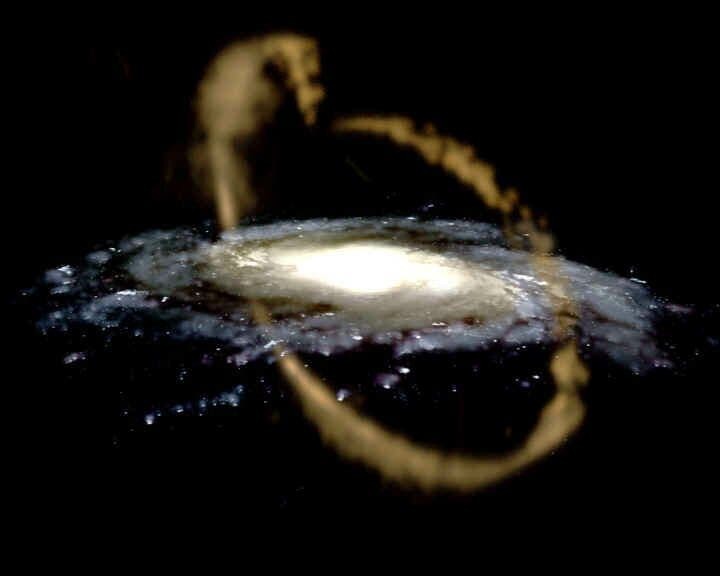 “We have here provided the clearest evidence that our own Galaxy disk has suffered from perturbations, bringing it to an out-of-equilibrium state, which may well be due to the interaction with an external satellite galaxy,” write the authors, led by Teresa Antoja from the Universitat de Barcelona in Spain, in the paper published last week on the arXiv preprint server. halo kinematics, Gaia Universe Model Snapshot. 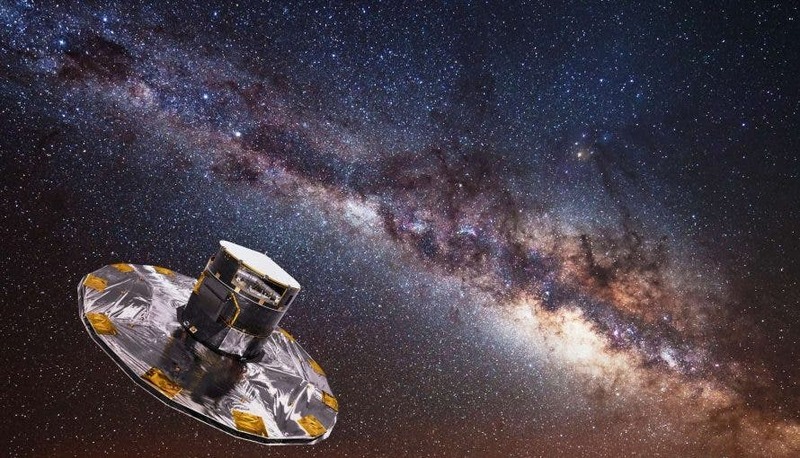 The European Space Agency released its second set of Gaia data last Wednesday, and with it came new information about 1.7 billion stars in the Milky Way. That included 1.3 billion stars’ apparent motion in the sky and actual velocities for over 7 million stars. The researchers behind the newest study used this information to study the galaxy in phase space—fancy talk for how its stars’ velocities vary with their position. This second data release takes the census of our Galaxy to an entirely new level, as it includes three-dimensional positions and two-dimensional motions of more than 1.3 billion stars, along with their distances, brightnesses and colors that can help paint a bigger picture about the star as its colour gives information on its surface temperature; the hotter the star, the more blue it is; the cooler the star, the more red it is. Gaia has achieved this impressive feat of data collection by sweeping across the sky while taking observations in a large circular motion. “In about one minute, Gaia measures about a hundred thousand stars on the sky,” said Anthony Brown. It takes around two months for Gaia to look at the whole of the sky and in this data release most stars will have been recorded on average about 70 times. This multitude of measurements for each star can then be plotted to show its varying brightness as it moves around the galaxy and how it changes in size as it pulsates. Variable stars are an important tool in astronomy because their periods (how often they pulsate) are directly related to their luminosity or brightness, so they are sometimes used to measure distances within the Universe. Not only that, but animations built from Gaia data allows the positions of stars to be seen in 3D, allowing scientists to rotate around a particular star cluster for example to see it from all sides. Over its whole lifetime of 5 years, the satellite will take 29 independent measurements of the whole sky, giving astronomers an unprecedented look at how the stars in our Milky Way behave and evolve; data gleaned from Gaia will help to literally reconstruct the whole history of the Milky Way. One of the highlights of this particular release added Brown, is the radial velocity data on seven million stars, which tells scientists how the stars are moving towards us or away from us. “Although 7 million might look like a small number compared with the rest, it represents the biggest radial velocity survey ever carried out over the whole sky,” explained Brown.